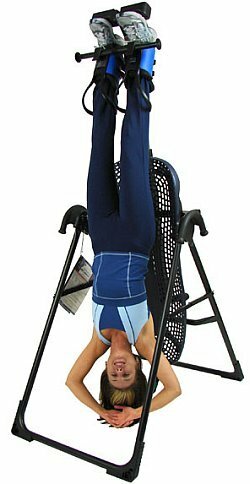 Inverting with a Teeter Hang Ups Inversion Table or a Stamina Inversion Table can improve health, reduce back pain, relieve stress, improve circulation, and more. With that said, there are health issue that may prevent you from using one. If you have any of the conditions below, please seek approval of your licensed physician prior to inverting. Note that this is not an exhaustive list, it is intended for reference. Be sure to read and follow all the documentation that comes with your table and consult the manufacturer’s web site. If you have any doubts, please consult your doctor prior to inverting. Anti-Coagulants (Use of): Blood-thinning drugs or aspirin to reduce clotting of the arteries and blood vessels. The use of anti-coagulants signals people at risk for circulatory problems. Bone weakness, recent fractures, skeletal implants: Inversion may exacerbate these conditions. Conjunctivitis – (Pink eye): An inflammation of the transparent membrane that covers the front surface of the eyeball and the inner surface of the eyelids caused by bacterial or viral infection. Glaucoma: A condition of elevated pressure within the eye because of an obstruction of the outflow of the clear, watery fluid circulating in the chambers of the eye. The resulting pressure (which is imperceptible without an eye exam) kills cells in the optic nerve, which can lead to a gradual loss of vision. Heart / circulatory disorders: Any condition involving the circulatory system. Hiatal hernia, ventral hernia: A hiatal hernia occurs when intra-abdominal pressure increases cause a portion of the stomach to move into the chest cavity through a weakness in the diaphragm. A ventral hernia develops at the site of previous surgery, usually along vertical incisions. 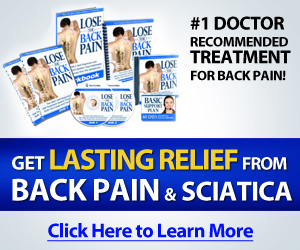 It may also result from weakness in the abdominal wall. High blood pressure, hypertension: A common disorder in which the heart is pumping blood through the circulatory system with a force greater than that required for normal blood flow. An elevated blood pressure which exceeds 140/90. Middle ear infection: The middle ear helps equalize air pressure in the ear. A person may feel discomfort or disorientation during inversion. Pregnancy: Pregnant women should exercise caution when inverting. Actually, just skip it and get a good quality maternity body pillow to align yourself at night. Retinal detachment: A separation of the retina, the thin, delicate membrane covering the rear portion of the eye, from the optic nerve. Usually results from a hole in the retina that allows the vitreous humor fluid to leak. Treatment is almost always surgical. A retinal hemorrhage, in most cases, can heal by itself. Transient ischemic Attack: Often called a “ministroke,” a TIA occurs when the blood supply is temporarily interrupted to a part of the brain due to a blockage. Often precedes the onset of a full stroke, and requires immediate action. The best thing to do should you have any concerns is to talk to your doctor. You can print this list and bring it in to discuss it.